the twitterverse going gonzo over the Mueller report. will be stringing this out for the next two weeks. Makes for a great distraction while the invasion of Venezuela gets underway. We must bomb them into peace. A recent visitor to the backyard. ETA. Look at the detail and colors in the tail. What lens did you use for this? It's a Red Shouldered Hawk. There's been a lot of them flying around the canyon behind my house the last few weeks. I was using a Sigma 150-600mm lens. 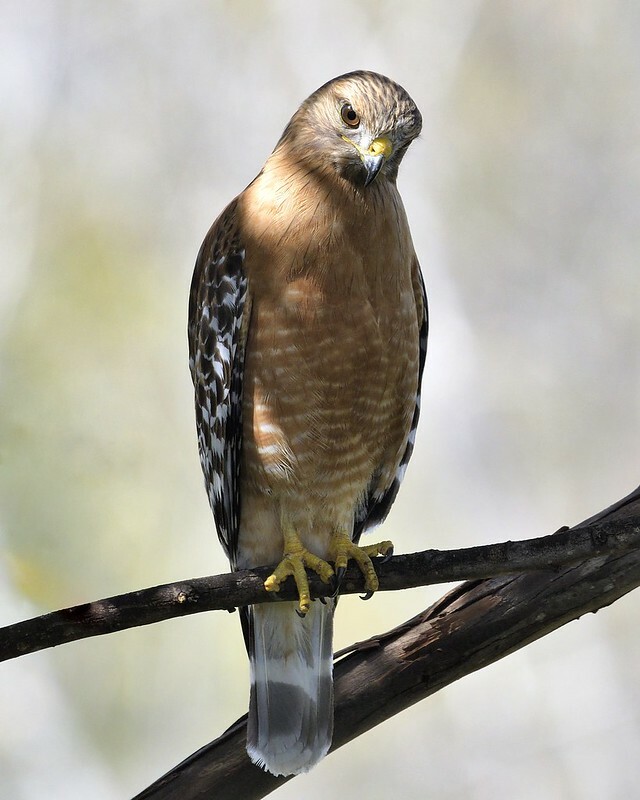 @Socialprogressive Great Red-shouldered Hawk pix S.P. Looks like a lizard in the talons on the last shot, but please don't ask me to ID it. Wonderful photos! I ID'd the lizard as a Dead Lizard. 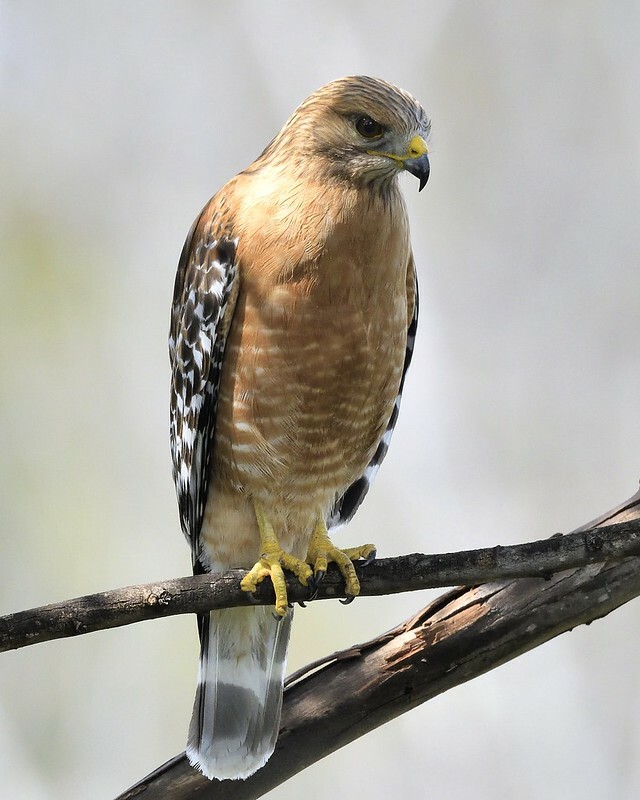 #2 Great Red-shouldered Hawk pix S.P. Looks like a lizard in the talons on the last shot, but please don't ask me to ID it. Wonderful photos! I spent two glorious weeks here and here is the spot from where I took close to 1,000 photos after I had just gotten my first digital camera. I have so many more.... anyone get a chance to go there do. No matter the weather it is incredibly beautiful. Redwoods and azaleas abound during the spring. Gorgeous. @snoopydawg Beautiful photos S.D., that is a gorgeous area. You're right about this being a gorgeous area. My camp site was about 20 yards from the cliff in the first photo, but I went to another spot in the park that had even better views. Lady bird Johnson redwood state park was just up the road and Trinidad was just below. Hope that anyone who wants to go there gets the chance to. #3 Beautiful photos S.D., that is a gorgeous area. images a large shore based creature opening the jaws (needs dental work) to the distant land. Can see his eye bright above the mandible, the light away would be his ear -- listening for the reply of his roar. Amazing what is seen in a picture of nature. When you know, nature is alive. Lots more. Anyone who used to use film knows how disappointing it is to shoot a roll of it only to get one decent shot. I've always been cash challenged so I was careful about not taking the same picture with different settings or composition. How incredibly free I was from having not to do that anymore. Take take take take and I sure did. Heh. This is some imagination here. my film camera in 15 years. Every once in a while I think about running a roll of film through it but never get around to it. and bought a roll of slide film. I have a Pentax that my 400 lens goes on with a 2 x tele xtender. It's what I used for the eagles and it's just an off brand that I got from Porters magazine. I use a Tamron 35-300 on my canon, but would love to get a bigger one. Or the tele xtender, but they cost as much as a bigger lens if I stick with canon. Are you still doing that water photography? photography since the last time I posted water drop photos here. 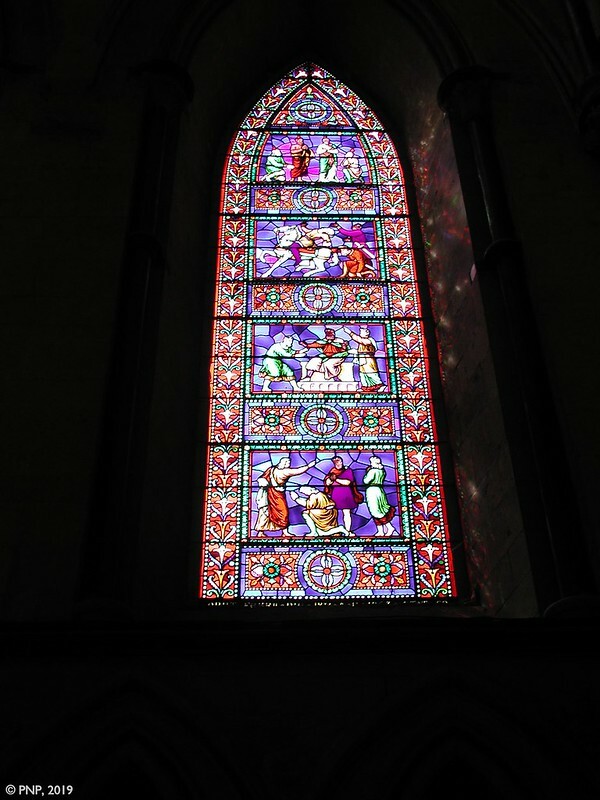 Awesome stained glass shots BR and QMS. Beautiful. Texas Bluebonnets are blooming, which are a Lupine of course. There is one called the Chisos Bluebonnet in the Big Bend area of west Texas that has a nearly 2' flower spire. Disparate Forester, an odd diurnal moth. Red-tailed Hawk, fuertesi subspecies of the southwest U.S. with very clean pale creamy underparts. Named after the great bird artist Louis Agaziz Fuertes. Sorry for the fuzzy. Thanks for all the great posts all! Adolescents right? Lupine is one of my favorites. This looks like it has larger petals than California lupine though. Do you know if magpies molt? I found 15 feathers in a small area from one. @snoopydawg If you found a pile of feathers though it's more likely it was taken by a cat or bird of prey. Something got one of our collared doves a while ago; lots of feathers strewn all over the back yard. I think it was probably a red-tailed hawk. either on the feathers or the ground. They were scattered over about 30 yards but in kind of a straight line. They are pretty in the sun when they show the blue. I'm guessing that it was a magpie though. Don't they have blue in their feathers? One is more than 7 inches. I'm going to put them in my obsidian wind chime that I made with driftwood from my beach. #4.1 If you found a pile of feathers though it's more likely it was taken by a cat or bird of prey. Something got one of our collared doves a while ago; lots of feathers strewn all over the back yard. I think it was probably a red-tailed hawk. @snoopydawg and I can probably tell you what it is. Or if a Magpie or not. The debris field sounds like it was taken in flight. In general corvids are rare prey items as they are so smart and sharp-eyed. Corvids are the family that contains the smartest birds in America, and maybe the world: Ravens, Crows, Magpies, Jays, and Nutcrackers. A nutcracker cached an estimated 50,000 (pine) nuts for a winter and had roughly 90% recall. Most people can't remember where they put their keys. The bluish parts are on the left side of the feather and I found one that has white in it like shown here. Did some more searching and maybe they are crow feathers instead? They look more like this. There really isn't any blue in the middle just on the outside. So what could take down a crow? I haven't seen any big predator birds at the cemetery. #4.1.1.1 and I can probably tell you what it is. Or if a Magpie or not. The debris field sounds like it was taken in flight. In general corvids are rare prey items as they are so smart and sharp-eyed. Corvids are the family that contains the smartest birds in America, and maybe the world: Ravens, Crows, Magpies, Jays, and Nutcrackers. A nutcracker cached an estimated 50,000 (pine) nuts for a winter and had roughly 90% recall. Most people can't remember where they put their keys. @snoopydawg sorry I was out SD. Those top feathers look like Magpie, the bottom ones look like Crow. Crows actually are pretty black, no colors. Magpies have lots of blue and or green iridescence. So that makes me think Magpie. Also if one had extensive white on it then not a crow. Cooper's Hawks can take Crow or Magpie, as can many larger hawks. They don't often, but sometimes they do get them. but the feathers I found don't have as much color on them as the ones in the photo. Just some blue on the side. Saw 4 more in different areas today and that's why I asked if birds shed their feathers? Mysterious..
#4.1.1.1.1.1 sorry I was out SD. Those top feathers look like Magpie, the bottom ones look like Crow. Crows actually are pretty black, no colors. Magpies have lots of blue and or green iridescence. So that makes me think Magpie. Also if one had extensive white on it then not a crow. @snoopydawg A pile of feathers in close proximity is virtually always evidence of a predation event. Yes Magpies molt. But like most birds do it a few feathers at a time to not lose insulation or flight maneuvering capabilities. Wing and tail feathers are usually molted in a fairly symmetric manner for this. The 'deer' are Blackbuck. They are farmed here, but were from the Indian subcontinent. Great catch of the sparring Blackbucks. last night had this wonderful display of 3 white tails, mama / papa and two young fawns -- male / female dancing their little hearts out in the back yard. Right around dusk. Must have been the full moon as they were literally doing pirouettes and in-place leaping straight away from the ground without earbuds. Dear oh deer. climate blogging is taking up more and more time. someone in france has started a connected twitter page and another over the hill, a facebook page. so busy am I. a good problem to have, but my weekends are slammed. thanks for the POT bollox and the stained glass, lovely. beautiful pictures everyone -birds, bugs, flowers, and bucks. Is this a magnolia blossom? The magnolia trees here just have a few buds on them, but spring is sure trying to spring. I hope you get some time to see the super blooms before they are gone. Unfortunately people who are going to see them are trampling them to get photos of them. People can be so inconsiderate.